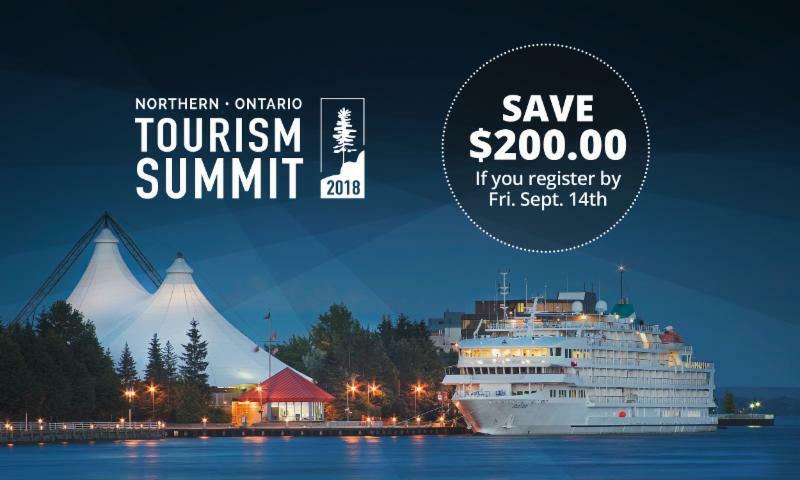 Tourism Northern Ontario is encouraging the industry to register for the largest northern tourism event of the year, the Northern Ontario Tourism Summit, this fall in Sault Ste. Marie Ontario. The early bird deadline falls on September 14th this year and we want to make sure our industry partners can take advantage of the special price of $199/person. So what exactly does that registration provide attendees this year? Well, things will be a little bit different and the Northern Ontario Tourism Summit steering committee is pretty excited to share them with you. entry to the Northern Ontario Tourism Summit Opening Feast On™ Reception on Tuesday night. This special reception will feature Algoma restauranteurs serving up the best Northern Ontario has to offer as well as food and drink from around Ontario. entry to the Annual Northern Ontario Tourism Summit Awards and Gala night on Wednesday night hosted at Quattro Hotel + Conference Centre. The Northern Ontario Tourism Summit steering committee is working hard to put together an agenda that will resonate with different sectors of our tourism industry. This year you will see sessions colour-coded depending on which stream of learning you may want to experience. Operators (both rural and urban), Communities and Destinations and Tourism Advisers will all have their own streams to help you, the attendee, make the most out of your summit experience. Register NOW and don’t forget to download our app on Google Play or the Apple Store to customize your schedule, chat with other attendees, read up on guest speakers and more.